Founded in 1970, Courtois Lebel has been developing harmoniously for 40 years, gradually extending its scope to cover the principal fields of business law, whilst fostering a true international perspective. Courtois Lebel advises and acts for clients based all over the world, especially in the USA, the UK, Australia and Southern Europe. 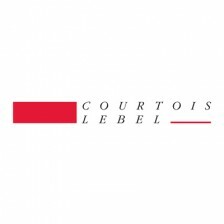 Courtois Lebel is one of the few French law firms which managed to maintain the momentum of its founders and to integrate a new generation of partners, thus continuing to provide expert legal advice whilst upholding values such as the spirit of partnership, responsiveness and proactivity and endeavoring to contribute to the evolution of our profession in parallel to the growth of the firm.